I'll try again when it has support for plugins. I can't see this landing in core if it doesn't work with plugins. The way it stores “blocks” is absurd. That thing is going to slow down fast. It should save content as content but it doesn’t. It *should* store the block data as JSON (or serialized object, IDC) into postmeta, but instead it uses regexp to parse HTML and queries DB. The block data can be stored anywhere. It can be stored in postmeta or even externally in a custom post type. It’s just the initial focus has been serializing block attributes inside of post content in the same way as shortcodes do, and as such it is largely backwards-compatible with existing systems. It is depressing to see smart people just refuse to learn from their own recent experiences. 4.7 – Rest API, a big project comparable in complexity to gutenberg, fails to take into account the core value of wordpress – flexibility, and fails to deliver anything of significance to 99% of wordpress users. 4.8 – Text widget changes under the assumption of “we can change the definition of what is it in the DB without breaking anything” cause breakage and annoyance and shows that core developers do not actually know all the ways in which wordpress and its components are being used. Gutenberg – so far a combination of both of the above. What is the chance that it will both deliver its promises in a wordpress compatible way, and without breaking anything? I personally do not see the value of such an editor, it is of no use for me, and of very little use to other people that publish content with wordpress, they write things with word first, and pasting from word to wordpress is the most important functionality for them. For those people blocks are just clutter. But I do know there is a value in it for designers (for whatever definition of the term), and I don’t see any good reason not to have this kind of tool in core, but it needs to be opt-in, for at least the next 2 years. Doing it in an “opt-out” way like core usually dose things, has the potential to being very nasty thing to do to wordpress users. Not everyone cuts and pastes from Word. I have been using WordPress for 14-years and have maybe cut and paste from Word twice in that entire time. I spend a far greater deal of my time fixing issues with people who copy and paste from Word without using the button to paste plain text. You do not, I do not, people that work in marketing or have external SEO experts writing text for them, copy and paste from word to wordpress almost 100% of the time, as you witnessed by yourself. What do you mean the REST API was insignificant? The future of web is moving towards client side rendered web apps and without the REST API WP wouldn’t be able to follow this evolution. There are many great examples of how the REST API is being used. As an example I run a small webshop which uses a service that utilises the REST API for shipping allowing super easy integration without the need of an additional plugin. We’re also planning on using another service that utilises the REST API for automated accounting. It might not be that prevalent for many of the smaller WP sites right now but on an enterprise level it has had a huge effect. As for Gutenberg I, for one, can certainly say it’ll revolutionize the way I build WP sites. I find myself constantly needing a user friendly block layout system and am currently using custom fields frameworks to achieve that. This doesn’t provide the best UX. Gutenberg offers a much more intuitive and easy way for the users to build their pages. I’m actually extremely impressed with how user friendly Gutenberg is. It is certainly much more intuitive and up to par than the post edit screen and TinyMCE are. If you look at other content publishing platforms all of them are using something similar to Gutenberg. It’s the future! @emil, wordpress is a CMS, not a webapp. Anyway the rest api is not useful for webapps because it is not flexible enough. You need to create your own end points to be able to do anything sophisticated. The evidence for its lack of usefulness is that there is no use of it in 4.8, and the only usages to come that I know of, will have to create new end points. As for gutenberg…. everybody knows how to use word. Gutenberg introduces a learning curve that will deny unsophisticated users the ease of use creating content with wordpress is known for. Rarely anyone need to embed soundcloud in his content, rarely anyone needs to embed even a youtube video. Gutenberg mainly adds clutter and confusion to the content creation process. As I said, for some situations it has its advantage, but not for something like a simple blog. @mark k I’m not saying WP is a webapp – I’m saying the future of the web is moving in that direction and WP needs to be equipped for that. Especially considering it powers a quarter of all websites. I’ve yet to build something using the REST API myself so you might be right but as I said I’ve certainly seen a lot of great examples of how it’s being used. Yes people know Word but in my experience it doesn’t mean people find the visual editor easy to use at all. I personally find find the Gutenberg editor much more intuitive and easy to use but of course that’s subjective. I’m looking forward to trying it with a client to get a better idea of how it fares. Sure, if you just need a simple blog (which I’d argue is actually not the use case for the vast majority of WP users) you might not need a lot of the additional functionality but I don’t see how the presence of these features impairs the ease of use. On every single website I’ve built I’ve had a need for some kind og block system. Maybe not for embedding videos (although occasionally I’ve also run into this use case) but e.g. for “embedding” products in a blog post, inserting a simple button, building front pages consisting of banners and heros, building a contact page with a map and form or doing something exactly like the example use case for Gutenberg. Using something like shortcodes, which is probably the only “native” WP way to achieve something like this in the content simply provides a sub-par experience. Every web app, that has ever existed, has been rendered on the client side. I think most would agree the Gutenberg experience is prettier and nicer than the current page/post editing experience. I know I do. The main concern is going to be about backwards compatibility. There thousands of plugins and themes that have extended the existing editor. And there are tens of millions of websites with content generated not only by the default existing editor, but by extended and/or modified versions of the editor. That includes everything from Yoast-type meta boxes, to galleries and other content inserted via Media/tinyMCE buttons, to ecommerce pages, to custom post types, to page builders, to custom built editing experiences on hosted solutions like Rainmaker, to weird misc hacks that individual site owners have done to their own sites. It’s not enough for plugin, theme, and other developers to accommodate the Gutenberg editor for fresh, new content. They also need to account for the tens of millions of pages of existing content that already exists. All that content somehow has to be ‘migrated’ so it can be opened and edited via a completely new interface. This is a massive, herculean task. Unfortunately, my impression is that relatively little thought is being given to such concerns, at least up to this point. That’s rare for WordPress core development, which usually prides itself on stability. Given the magnitude of the change the new editor represents, and its potential impact on every single page of WordPress content on the web, the lack of attention to compatibility issues has me concerned. I witnessed an impressive technical demo of Gutenberg on WordPress contributors day in Paris by Gutenberg lead matveb (Matias Ventura) and attended Matt’s presentation in the big hall as well. Gutenberg is looking much better than it was four or five months ago. The code we were shown by matveb looked clean and extensible. As a developer, building a block is not a problem for us (we built our own button above the editor in the current TinyMCE). Currently while we offer a visual interface, FV Player posts into the body in shortcode which makes the data very portable. Even if you disable our plugin the data remains. Creating a block which will do similar magic, no problem. But I wonder what happens in Gutenberg when someone disables our plugin. What happens to that data? How will the content creator access at least the core of our data (the link to a video which may or may not play in a generic player as we support far more formats and hosts). I heard that the goal is for Gutenberg to be completely cross-compatible with a conventional HTML editor and content block (say TinyMCE or CKedit). If a Gutenberg post can be reduced back to HTML and shortcode for cross-compatibility, which was promised at the Thursday 11am presentation by matveb, then most of my concerns are allayed. Gutenberg could become a very positive natural evolution in the creation of content. I have mixed feeling about the direction of Gutenberg editor, but rest assured, I am excited to see that WordPress editor is getting a long due update. Will be writing a post about it soon! Thanks for the cover, Sarah! There are thousands of themes and plugins that use custom MCE buttons or the MCE toolbar to generate their shortcuts. If Gutenberg is not done correctly, are the developers ready to sacrifice millions of hours of work for a distraction free writing like editor that very few people would care? We saw the number of people who like and use distraction free writing… that thing is totally useless! Besides, Gutenberg is at least 5 years late… with all the free and commercial page builders, is Gutenberg really needed? Shouldn’t the developers concentrate on more important things, like caching, security, and even a backup system in the core? +1 or how about a better media manager with actual categories, etc. Just installed the plugin – overall, happy with the direction of the UI. I know clients/users get confused with the classic WP post editing interface, so the distraction-free editor is a step in the right direction (no reason metaboxes can’t be hidden on a separate tab). One thing that I didn’t like – to insert a new block, I have to click the “+” at the bottom and then re-order the blocks. It’d be great if I could press enter to create a new line, then insert from there (similar to how Medium works). I’m not a fan of the way it stores data/blocks, but I guess as long as there’s a standard parsing library then it’s still a huge step up from shortcodes. In any case, I’d definitely suggest getting feedback from developers in the WP community about the serialization of these blocks. I get that the idea is to keep post_content as the single source of truth + render anywhere, but it’s a bit like a square peg in a round hole IMO. This push forward worries me regarding the framework choice. It looks like to me that unfortunately it is already decided, it is possibe that the only thing we got regarding the framework debate was the illusion of choice while a group of the core team knew the result all along. Until i see something that isn’t just a tube of content this is useless to me and my clients. Why is there this persistent notion that people use their website as a writing tool? At our agency we have hundreds of clients, and i would wager that less than 5% write their longform content directly on the website. For non-bloggers, the website is a publishing platform, not a word processor. This is a blogging tool for a wordpress that is no longer “just” a blogging platform. I have noticed that as well among some of my clients who are using it as a blogging platform actually. So… maybe this would help them write directly on the website. I think it’s Gutenberg is poised to become more than a set of writing tools. It’s becoming something that will allow people to update the content on their site in ways that they can’t do now without extra plugins. Take the popularity of Advanced Custom Fields, for example. I love the plugin and use it on almost every site I build, but I only use it because there isn’t an easy way to add custom metadata fields to WordPress. If Gutenberg can make building things like that easier, than it’s truly something that’s exciting. If Gutenberg could make it possible for me to create this as a widget that could be added directly to the content INSTEAD of a hard-to-read shortcode, I’d be all over it. The client would have a much better experience, and their content would be far more readable. Especially if the widget had the capability of auto-generating the result inline so they can preview what it would look like before publishing. Very good points IMO. Having the ability to create custom fields, metaboxes, post types, taxonomies, etc from within WP without a plugin would make it my favorite release ever. Not only that, it might help further shed WP’s reputation as a blog only platform that lacks CMS capability. I suppose that their desire to change that perception depends on their overall goal though. Matt, with all due respect, why is “without a plugin” a paradigm to be desired? WordPress has a very modern and easy to use pipeline that is able to provide the best plugins with very little effort or technical hurdles. The WordPress team is to be commended on perfecting the extensibility of their platform. Yet in the face of having the ability of adding plugins with ease, why point to this one feature and arbitrarily decide it should be part of the core, because we don’t want to use plugins? We accept that there are some plugins that are essential to the experience, but remain as plugins. Akismet comes bundled with wordpress. There are two caching plugins that most people won’t do without one or the other. There is Yoast and other plugins which most would scarcely do without. And here is this upgraded CMS-like composition experience, which is already ostensibly a plugin, and it seems a foregone conclusion that this rises to the level of something that should be included without a plugin? This makes no sense to me. Please explain. I installed the plugin and played with it a little bit. Unless a way to create columns is added, I don’t see many advantages over the current editor. Definitely a positive news for WP community. I would like to see how Gutenberg plays out before i install it on any of my production sites. I agree with letting the plugin creators add value in this space. The core wordpress code does not need this new feature. However, as a developer, I also see the value in how the team is being informed by the creation of a tool like this. When you write an extensible platform, like wordpress is, sometimes the complete picture of your API is not visible unless you actually build the tools that extend upon it. I’ve experienced this countless times, when I actually developed a tool for the platforms I’ve worked on. Things become clear about your core platform that you never imagined before. Personally I don’t see any reason for this to be anything more than a plugin. I hope they don’t merge this with the wordpress core, unless it becomes so popular, down the road, that it becomes obvious to do so. I applaud the team for this effort, but I hope they don’t bloat the core with a feature that is not needed. I know it’s early, but I’m dreading this based on what I’ve seen. 95% of the users I train are someone in a small business who has been tasked with dealing with the website, and the level of experience they bring to it is a basic familiarity with MS Word and Outlook. They get the toolbar layout immediately. Trying to get the average person who uses WP as a CMS an hour or so a month to understand this is going to be a problem. That’s usability I can make hay with. Has anyone actually done a survey of where those writing content actually do that writing? But, for longer writing, I wouldn’t dream of typing it direct into WP. I write it somewhere else first and then paste it in. Everyone I know who writes long-form work does the same thing (although they tend to use MS Word, whereas I use LyX). How Gutenberg aids this process is beyond me. Will it, perhaps, stop mangling content pasted in from Word? (I see that this still happens, to the extent that there’s actually a plugin to ameliorate this.) If not, why don’t the developers address that important need? I just hope they don’t get rid of the HTML editor. That’s where I paste my content so that it doesn’t get mangled. In fact, I now use a filter to disable TinyMCE altogether in the admin pages. Will I have to do the same with Gutenberg? Or will they, perhaps, see sense and keep it only as a plugin? I was excited for Gutenberg (way) back when I thought it was going to be a quick frontend editor, because my clients do often need to fix typos on the front-end, without the perils of a pagebuilder. But NOW I can see Gutenberg threatens my whole business. Its focus on “article writing” is detrimental to my work. Most of my work in WP for clients has been to make them each a plugin suite which adds CPTs, taxonomies etc and a huge huge bunch of bespoke metaboxes . EG Client/Job: a rental agency site needs a feature for editors to fill a standardised form to populate a property listing and link to geodata and offline systems. I spec and build a plugin suite to do this, but the metaboxes here won’t include the standard “editor” but will include many repeatable group boxes for editing segments, with custom boxes which call from other CPT posts and taxonomic queries, etc. Large complex metabox based solutions displayed in the primary post editing area. For my clients, “writing articles in wordpress” is 0.1% of why they use it. What I see from Gutenberg is no support for my practice. All metaboxes in a sidebar! No consideration for the non-blogging client, no indication of a path for a developer relying on the metabox model. So, what happens to me with WP5.0 ? All my clients want their 4 year old sites fixing for free? The onus is on me to deliver a fix, so am I recoding from scratch? Where are the WP official guidelines to deliver a familiar and equivalent UI? Where is the statement on legacy support? How are the big players such as woocommerce going to implement this, I’d be fascinated to see, because I’m looking at a massive problem here with no solution. Untill I see firm advice for people with my business-model (developing bespoke plugins for Business functions) I will be sticking on WP 4.9 and migrating away from WP as a platform. I am disapointed, and dismayed by what I have seen. Most core devs are still stuck in the 2000s, when blogging was all the rage. If anything, core devs (of which I am one) are stuck in a steaming pile of back-compat hell that comes with the ever-present baggage of trying to maintain every supported and not-supported-but-popular use case you can imagine – and some you can’t. In terms of the business community not feeling like they have a seat at the table, that’s a fixable problem; get involved in the process. And spouting armchair hyperbole from the comments section on the Tavern doesn’t count. If you want your feedback to be taken seriously, you need to actually be serious about getting involved. It’s not about being stuck in 2000s-era thinking, it’s about being stuck with 2000s-era decision making. We can only fix it if we’re all willing to check our egos at the door and get to work. I would say that CPTs and metaboxes are common enough to have been considered without blaming working people for “not getting involved”. I simply don’t have time to watch the GIT of every tool I use. I am busy, far too busy making sites and systems. I trusted that we all know that CPTs, Taxonomies, and meta boxes are a major feature of WP for developers who are selling bespoke solutions to business clients. It’s not like we are talking about something off-label like a WP_List_Table reliance. CPTs with Meta boxes are very common and supported features. For example: how many WooCommerce installs are there? Is [this WooCommerce metabox group](https://docs.woocommerce.com/wp-content/uploads/2013/04/WooCommerce-Shipping-Classes-Product-Variations-Shipping-Class.png) really expected to fit into the side bar? I first tested Gutenberg in March and installed it on 3rd May 2017 when I had a little time free to check it out. It has grown quickly since then and I assumed any obviously missing features were “coming soon”. 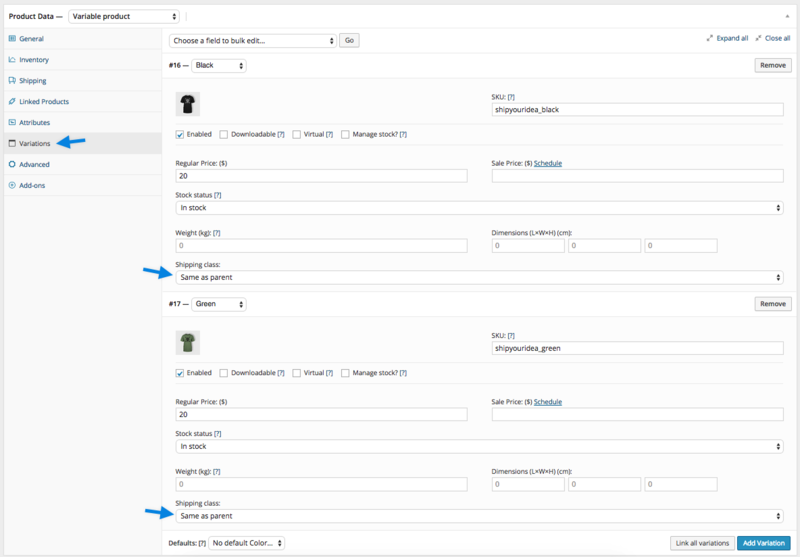 but there was no indication that meta boxes (of the kind familiar from WooCommerce) would not be included otherwise I would have raised the issue then. I’m a one-man band and constantly meeting deadlines. I do not have free hours. partly addresses the raising of concerns, If it is up to me to implement a solution then we are all doomed. I can schedule something for November. No, it’s up to core to act like a product team and do the market outreach and research. Too often you all come off as a bunch of engineers without any product experience. For example… comments and feedback on… GitHub? In make.WordPress? Both of those are fine if you’re a developer but are not conducive to having non-developers give feedback. Stop being developers and start being product people. At least some of you. I’ve had a very quick look at Gutenberg and I think it shows a lot of promise. Reading through some of the comments above, I think people have to stand back and look at the popularity of visual editors for WordPress and other more sophisticated editors deployed in other products. The “average” WordPress user probably only has exposure to one or two sites. Making the editing process easier and less frustrating for them is going to help keep WordPress growing. There is still a text/visual view in the current beta and there looks to be plenty of scope to add new block types (inc widgets). The only thing I didn’t see was a way to have the equivalent of a page template – a bunch of pre-configured blocks laid out a certain way. I’m sure this must be on their list as no site of any size is going to be able to live without it. The concerns about backward compatibility are valid – I would also not want to see this as the default when sites upgrade, otherwise you are inviting a support disaster. Maybe make it the default for a new install, but leave current sites on the TinyMCE until they are ready to opt-in to the new way of doing things. 3)It will certainly shake up the Visual Edit and PageBuilder plugin marketplaces. Why not keep it as a plugin, considering that it is more suitable for bloggers and Word copy/paste users?